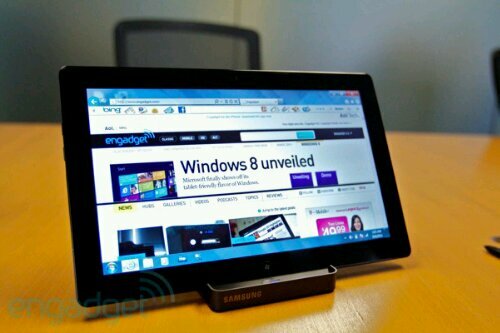 Samsung’s Series 7 Slate PC is an UltraSlate! I’m not just playing with words when I say that the newly announced Samsung Series 7 Slate is ‘ultra’ because if you look at the platform, the weight and the price you’ll see that it’s effectively an Ultrabook without the keyboard. Engineering something like this takes even more skill than designing am Ultrabook because you’re laying the screen directly over the motherboard. That introduces some nasty thermal challenges. For those that need the keyboard, you can leave now. For those that may not need the keyboard all the time (video editing, photo reviewing, those thinking about Windows 8 touch features, hot-deskers) this is an interesting product. 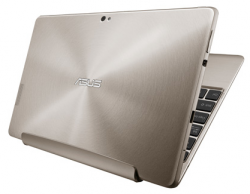 The specs include SSD, 4GB RAM, capacitive and digitiser layer, a high-brightness 1366×768 screen, quick-start, a 2lb weight and an optional dock. Starting price is $1099. This Is My Next have some hands-on here. New Products, News Comments Off on Samsung’s Series 7 Slate PC is an UltraSlate! 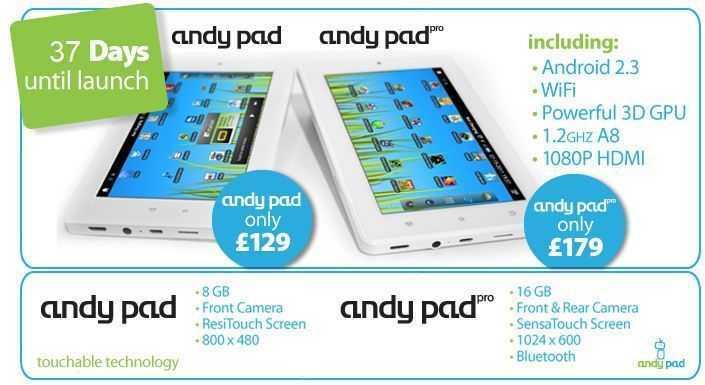 UK company AndyPad will launch a new line of inexpensive (but hopefully not ‘cheap’) 7″ Android tablets on August 31st. 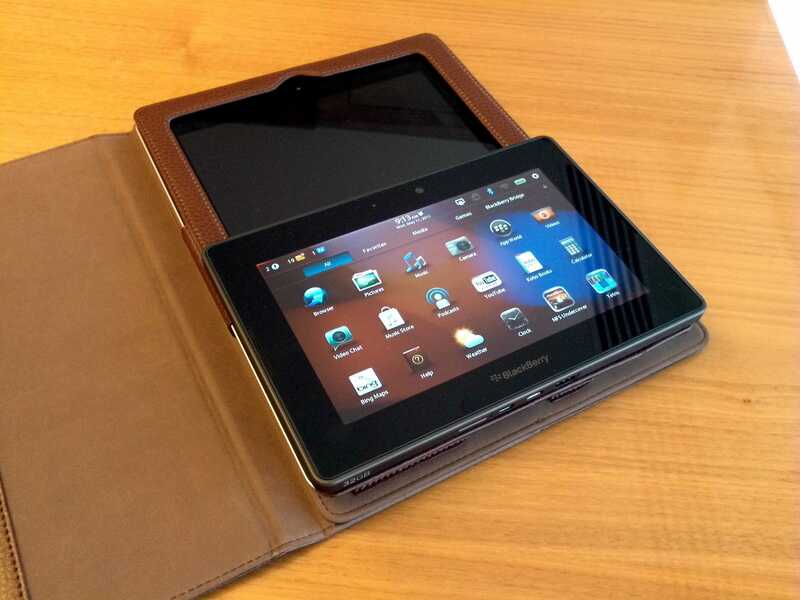 Advertised features for the pair of 7 inch slates include mini HDMI-out, a micro USB port, a 3.5mm audio jack and a microSD card slot. 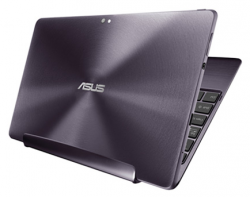 Both pads will run the same processor, a Cortex A8 CPU listed at 1.2 GHz. 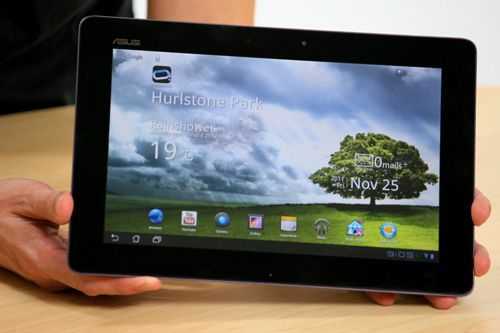 The aptly named AndyPad and AndyPad Pro will also share the same Android Gingerbread 2.3 OS, WiFi, and claimed 1080p HDMI out capabilities. 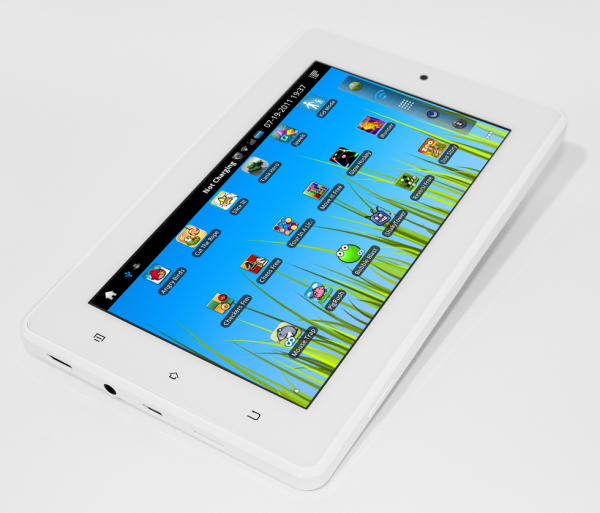 The lower-end AndyPad will cost £129 ($210 USD) while the AndyPad Pro is listed at £179 ($291 USD). 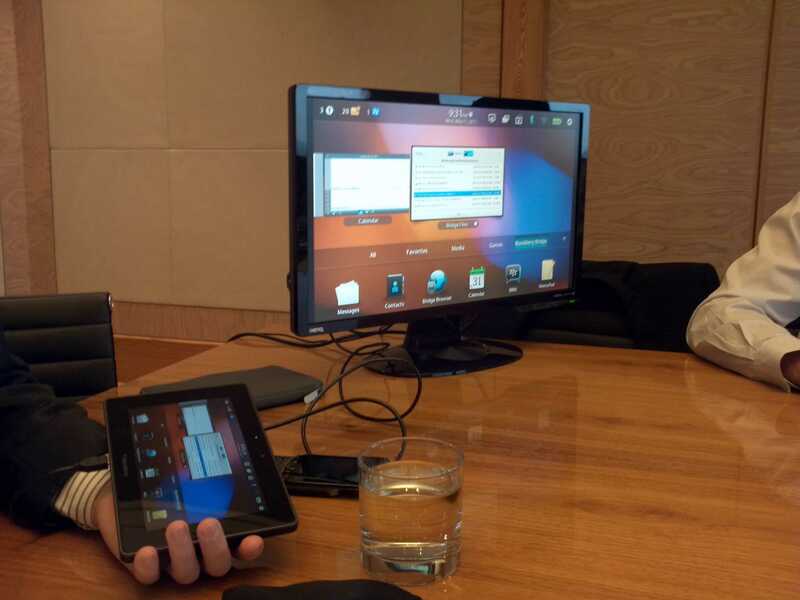 Right now there is no mention of the AndyPad devices having official access to the Android Marketplace, though the video embedded below does show the Marketplace icon on the device. We’ve reached out to the company to confirm whether or not the device will ship with Marketplace access and are awaiting a response. 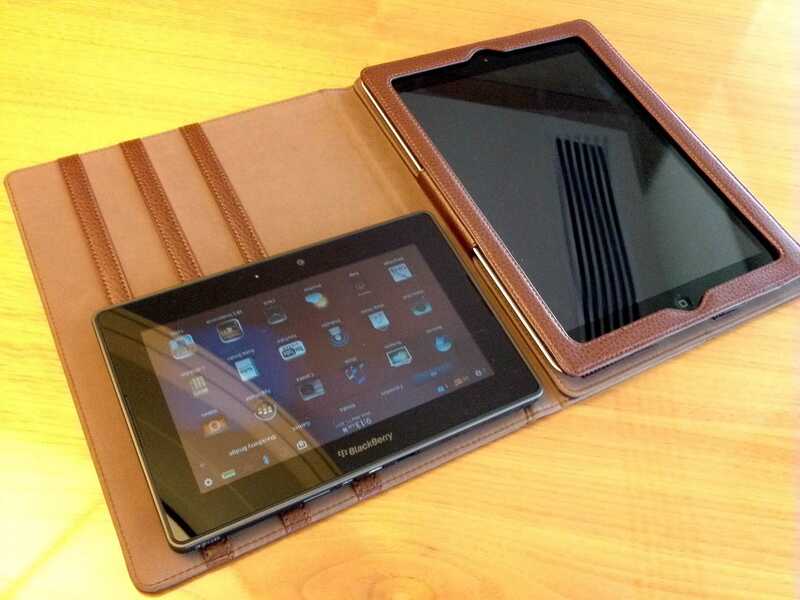 The two versions of the device differ is in size of internal storage, touchscreen technology, and cameras. 8GB of storage for the Andypad, and 16GB for the AndyPad Pro. The non-Pro unit only has a rear-facing camera, while the Pro version has both front and rear-facing cameras. 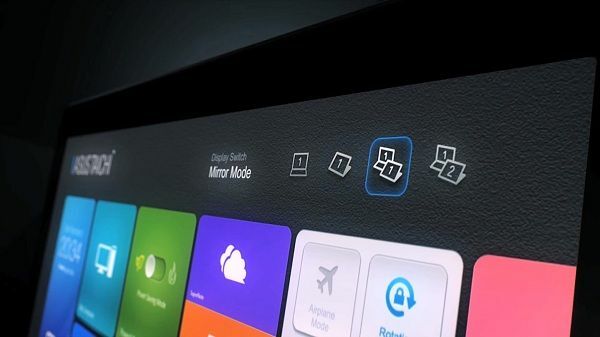 The Pro unit also carries a higher resolution screen, with a 1024 X 600 “SensaTouch” (capacitive) touchscreen. 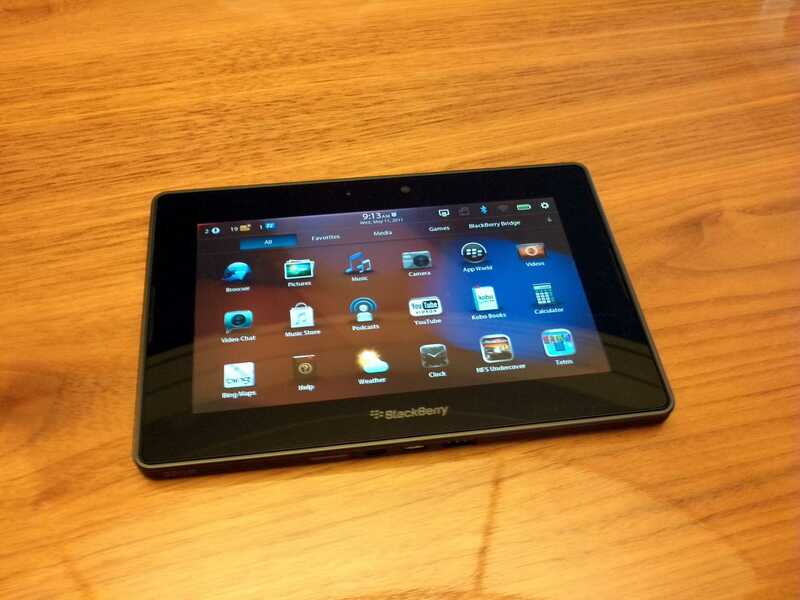 The baseline AndyPad has a 800 X 600 “ResiTouch” (resistive) touchscreen. The AndyPad Pro also adds Bluetooth to the mix. 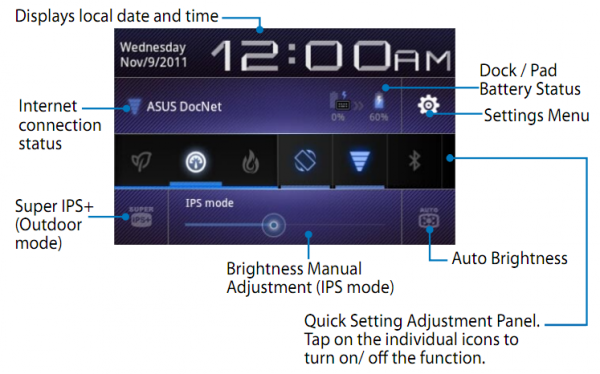 I am a user of the Dell Streak 7, which also features an 800 X 600 touchscreen. While this resolution is passable for browsing, it limits how much can be displayed on a screen when a user is trying to run a productivity application. While we realize that some users may consider productivity use-cases invalid for a 7 inch tablet with an 800 X 600 resolution in the first place, that does not keep me from trying. 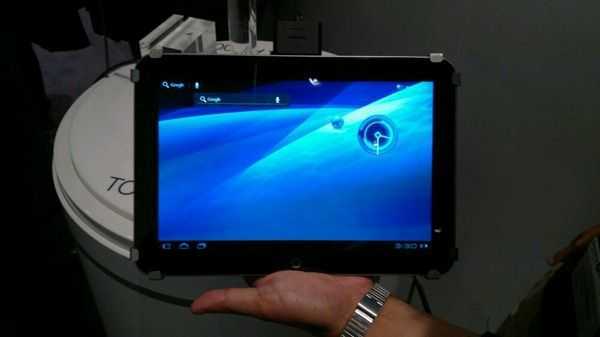 As far as the AndyPad Pro’s display, I have not had much hands-on time with the original Samsung Galaxy Tab, but it is, of course, also a 7″ tablet with a 1024 X 600 resolution. I have been impressed by the screen on the Galaxy Tab, so if the Andypad Pro can match it, that should count as a plus for potential buyers. As readers can probably tell from the feature-set so far, the Pro model is targeting the adult, ultra-mobile crowd, while the base model will likely appeal more to tweens and teens. It is still a tough sale to get mainstream consumers to buy into the 7 inch form-factor when 4.5 inch smartphones are available. Still, as 10 inch tablets become more appealing, the “next-step down” effect may continue to bring 7 inchers to the stage as appealing alternatives. These devices represent interesting things, both in terms of the implementation, and in terms of what they represent for the market. Android Tablets in this price range have a pretty poor track record for how well they perform once retail product actually hits store shelves. All my hopes are with AndyPad that they score even a mid-range hit with tablets for this price. We’ll be keeping our eye on the AndyPad(s) and see if they can stand up to some other recently announced well priced (albeit larger) devices. 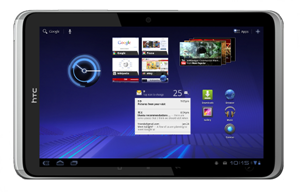 While Acer’s Iconia Tab A500 10 inch tablet has already been made available and been reviewed, its smaller sibling, the 7 inch Iconia Tab A100 (WiFi-only) and A101 (3G equipped) is now up for pre-order from Amazon UK. The site also lists both version of the device launching on the 14th of May, just 10 days away! 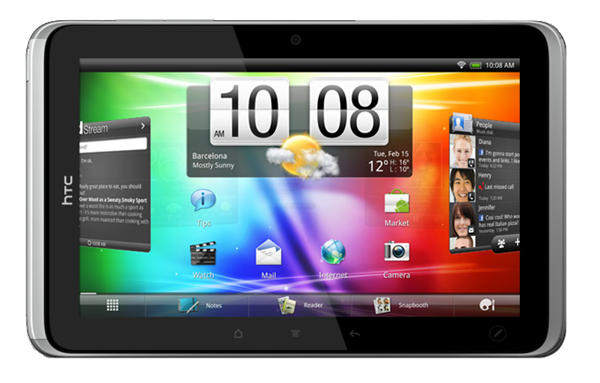 The asking price for the 3G equipped Iconia Tab A101 is £399 ($661 USD! 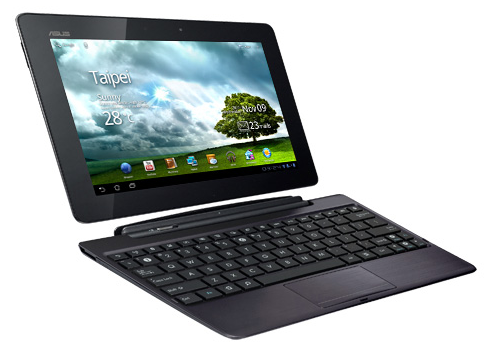 ), however, you stand to save 100£ ($165 USD) off of that price if you go for the WiFi-only Iconia Tab A100. It’s odd that there’s a home button on the bezel considering that Android 3.0 moves the home button (and back/app switcher/menu buttons) into the software. I’m also somewhat worried about the width of the bezels on the top and bottom of the screen; there may not be an optimal amount of bezel-space to hold the device in portrait mode. Only time will tell. After watching the official HTC Flyer intro video, you’ll see that a lot of the device’s identity relies on customizations made to Android 2.2 made by HTC. 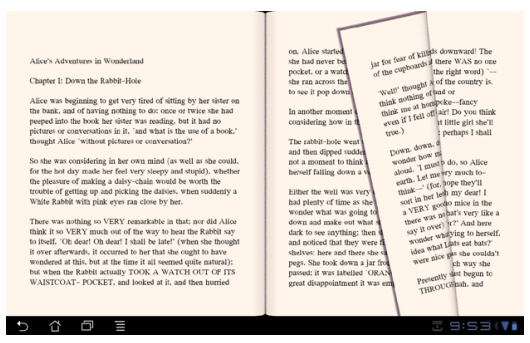 The inking, for example, is completely dependent on the proprietary HTC ‘Sense’ UI, which has been modified from it’s phone roots to play nicely with tablets. We will be offering a Honeycomb upgrade when it’s made available. What feature are you most excited about? What is less certain is how this will impact the Flyer’s inking capabilities and the features that rely on the custom HTC Sense UI. For the time being, Google has delayed the Android 3.0 source-code which means that developers have not yet been able to get their hands on the raw software for modification. 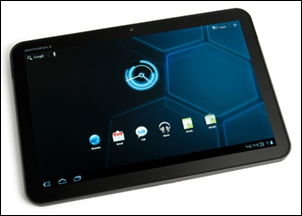 Google also may desire to keep a tighter grip on the modifications that they will allow to be made to the tablet-specific interface (likely to reduce the potential for fragmentation that has been seen with the smartphone version of the Android. There’s also the issue that the HTC Flyer has capacitive Android buttons built into the bezel of the device while Android 3.0 moves these into the softwareâ€¦ which would create an odd redundancy, or force HTC to disable the buttons on the tablet (or within the software). I’ve reached out to HTC to find out whether or not they’ll be able to retain the important inking features, and whether or not they’ll be allowed to bring the HTC Sense interface over to Android 3.0. I’ll update this post if we hear anything back from them. 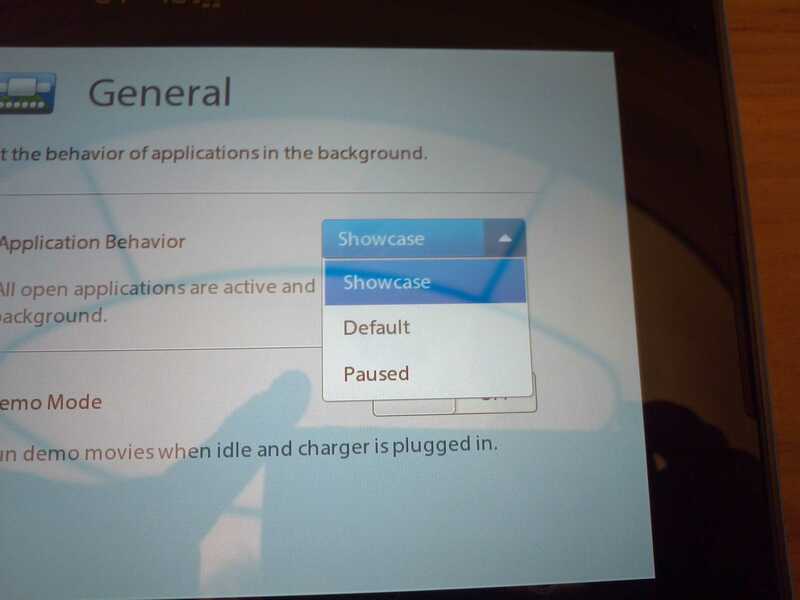 HTC will continue to implement the popular HTC Sense experience on future Android updates. I’ve asked for further clarification, but this seems to indicate that there will be no barriers to adding HTC Sense and inking to the Flyer post Android 3.0 update.